Stunningly beautiful throughout the year, the road to Sangla is certainly paved with good intentions. Loose rocky terrain makes most of the drive to Sangla seem like an adventure in itself with gorgeous apple orchards and ‘hanging’ villages on the other side of the gorge. 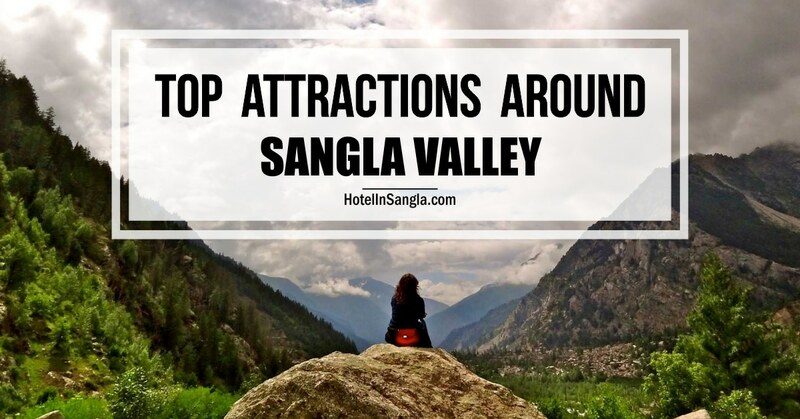 The valley’s largest inhabited settlement, Sangla has interesting Tibetian eateries and an ATM, but a taste of Sangla’s renowned potatoes is a must (the area grows some of the best-quality potatoes in the world). 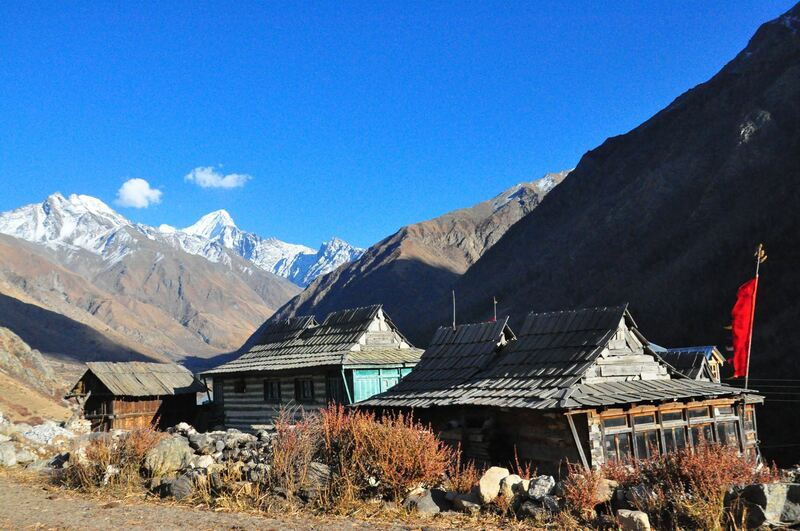 There are fantastic hiking opportunities right up to the last village of Chitkul at the Indo-Tibetan border. A short walk away is the fascinating Kamru Fort with the Kamakhya Devi Shrine. A perfect blend of history and tradition, old forts and ancient Tibetan wood carving make for much of the architecture here. 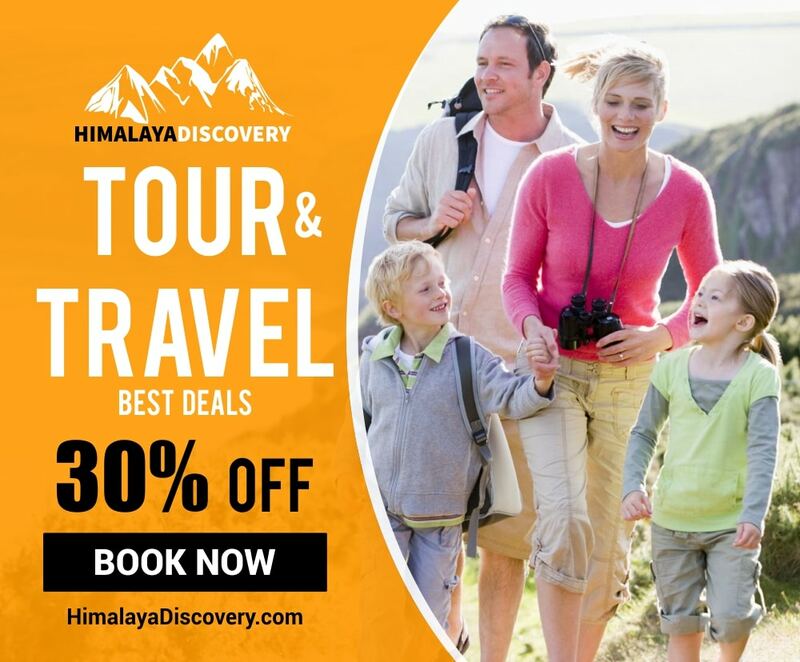 Tourism is, however, an integral source of income for people here in the valley and warm welcomes are part of the charming culture of these lovely Kinnauri-speaking locals. Get to this quaint village on the other side of the Baspa River with an easy hike from Sangla, across a small bridge that connects the village to the larger valley. Basteri village is the stuff old fiction arose from, old buildings in wood and stone, some refurbished but most crumbling, just 8 km from Sangla. Complete with an ancient wooden temple, partially burnt but rebuilt through the years, with the Kinner Kailash peak looming large overhead. Basteri has some interesting local handicrafts and shawls you might want to pick up before you leave. Hike from over to Kamru Fort from Sangla, fortified by high peaks with the sparkling river for company.Built around the 15th century, Kamru is considered one of Himachal’s oldest forts. Made of wood, the fort’s is a perfect amalgamation of Indian and Tibetan architecture. Get closer for the idol of Kamakhya Devi (originally brought from Assam) as well as the 15th century shrine of Lord Badrinath. Officially the last Indian village before the Tibet border, Chitkul is renowned for its natural beauty and quaint architecture. Spectacular views of the Baspa valley coupled with its quaint wooden houses make Chitkul the day-trip village to visit from Sangla. Renowned for its, rather expensive, potatoes, Chitkul is surrounded by lovely golden buckwheat that is covered with snow for a good 6 months (October to February). With a little over 600 inhabitants here, Chitkul has some very friendly inhabitants who are always happy to interact with visitors. Get to know a little more about life in this high-altitude border village – the culture, traditions, hardships and the simple joys that make it all worthwhile. 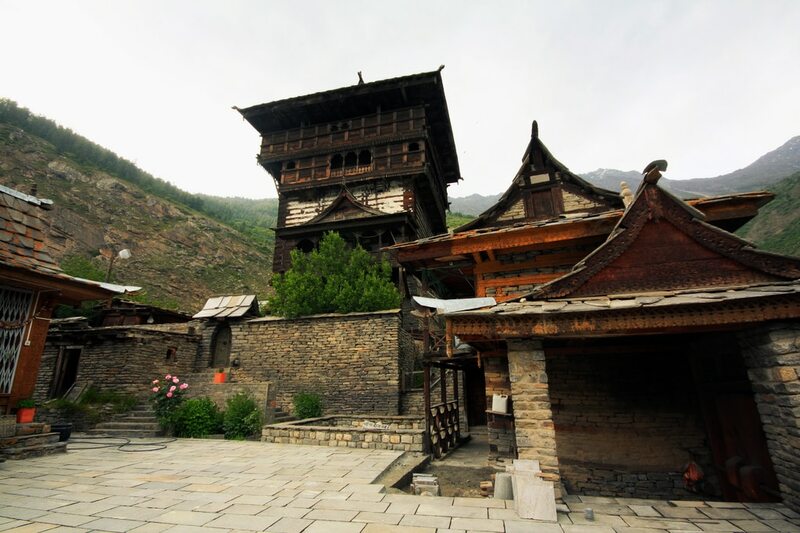 A short trip to the outskirts of Sangla would lead you to the Tibetian Wood Carving Centre. Stop by for a visit before another intricate art form becomes history. Meet the last surviving masters of this dying tradition whose masters and forefathers installed and took care of most of the wooden temples in Himachal from Basteri and Manali to even Hatu. The fine precision of their intricate work and impeccable dedication leave you with imagines of a time when wood carving was the occupation of choice. Get a brief glimpse into their simple lifestyle and watch the making of these beautiful wooden structures. Leave with a little souvenir of this ancient art. March-June and September-December, the summer and monsoon months respectively are the best times to explore Sangla to satisfaction. Although the summers are hot with temperatures going up to 30 degrees, they are not scorching and monsoon rains aren’t as heavy as you’d expect. Winters, on the other hand, are capable of turning you into popsicle sticks with the lowest reading being -10! Pack as light as possible given the amount of road travel involved here. Cotton clothing for summer and a light jacket would work for when evenings get cooler. If you’re un[travel]ling in winter, warmer clothes complete with thick socks and warmer jackets. Carry your windcheater and umbrella if you’re here in the monsoons as well. Sturdy walking shoes, mandatory if you’re hiking, make sense given the amount of walking involved here. Sunscreen, especially if you’re going up to the higher reaches. Usual prescription medications. Mobile and tablet electronic chargers.